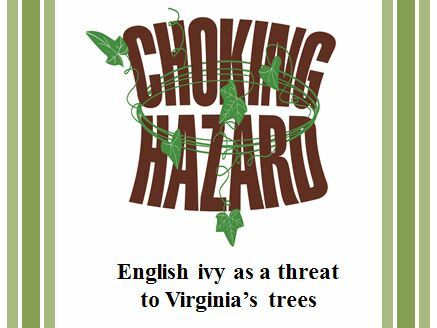 The purpose of the campaign is to educate residents about English ivy (Hedera helix), in particular the damage it causes and strategies for eradication. More information is available on the Tree Stewards website, at the dedicated Choking Hazard web page. At the bottom of the page, brochures and presentations are available for further educational efforts for residents.